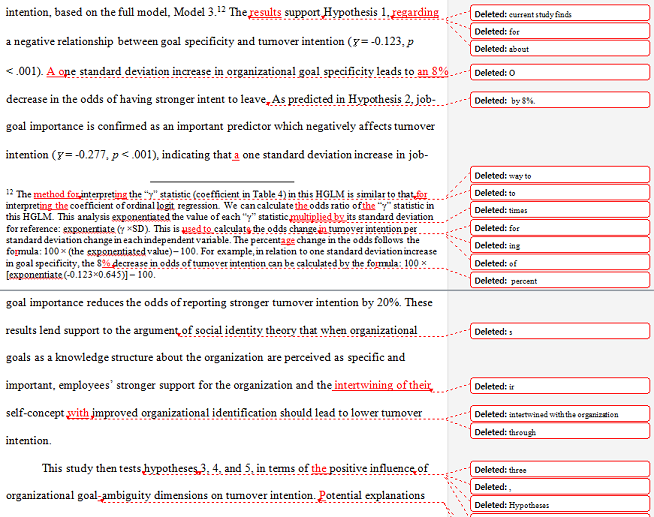 Below are examples of my work as a copy editor, one from a novel, the other from a research paper. Both samples are used with permission of the authors. 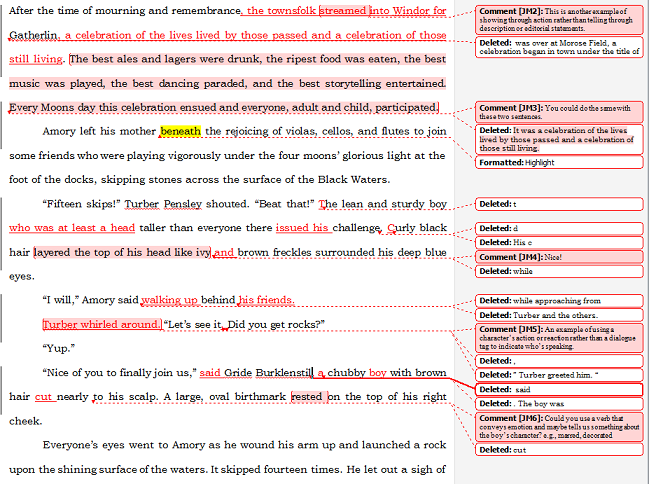 Edits were made using the Track Changes feature in Microsoft Word, which allows the author to see and accept or reject all changes I make.